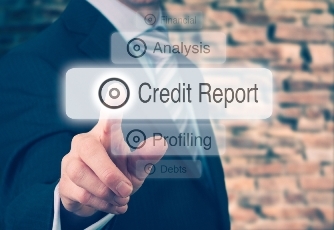 How quickly can ‘credit repair’ increase a prospect’s FICO score? How long does it take to increase the FICO score of a prospect when you send them to a credit repair company? There is a short answer and a long answer to this question. The short answer is – ‘It depends.’ The long answer takes a bit of explaining so I will do my best to be brief. You of course can contact me if you’d like a deeper explanation at chad@crr760.com. First, let's define our client. Often credit repair organizations or (CROs) are confused with credit counseling services, which are focused upon renegotiating debt. While both services have their place, CROs are focused on validating credit information and educating consumers how to best increase their credit scores. The latter part of that sentence is important to best understand the answer to this question. As consumers our credit reports are as unique as our DNA. No two reports are ever identical, so assessing a timeline for score increase on a general basis is nearly impossible. Next, it is vital to understand as industry professionals and consumers that no CRO can facilitate a score increase without their client’s participation. Simply removing negative entries does not necessarily mean the scores will improve. Credit repair is a team sport and without the consumer maintaining a healthy mix of positive credit being used properly, all the repair in the world won’t mean a hill of beans! That all being said, if all parties work together and follow through on their action plan, very positive results can be seen within 45 days. At that time, there may be a clearer picture of the barriers to success. Most CRR clients that follow our direction and work with us, accomplish their goal of being ‘mortgage ready’ from a credit perspective in approximately 3-6 months. DISCLAIMER: With all that being said, there are three things that are grounds for termination in our organization -- Specifically telling a client how long it will take, what their scores will be at the end and guaranteeing the removal of a specific item. Credit repair is like retaining an attorney -- guaranteeing a win is just not possible. Please be aware that any CRO that makes these claims, is not only breaking state and federal laws, they are being deceptive to the consumer.